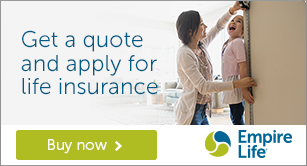 Insurance for Employees Markham | Group Benefits Plans | Ajay Financial Group Inc.
Before you sign with someone else, be sure to talk to Ajay Financial Group to learn of all your options. We aren't here to sell you what you don't need. We want to be sure you are 100% satisfied with the insurance you choose for your employees. We are experts in insurance for employees in Markham (and elsewhere). We will make sure your benefits provide your employees with the coverage they deserve without breaking the bank.